PUNE: Purchasing 13.6kg of mortgaged gold ornaments proved costly for a Satara-based jeweller. He transferred Rs 2.55 crore to a bank in Pune but the ornaments were fake. The jeweller on Thursday lodged a complaint with the Khadak police against eight persons, including a woman. Three suspects were from Pune and five from Satara. Two have been arrested. "We are probing whether any official from the Pune-based cooperative bank played a role in the duping case," Rajendra Mokashi, senior inspector of Khadak police, said. 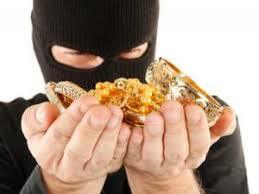 The suspect had taken a loan worth Rs 2 crore from the cooperative bank by mortgaging the fake gold ornaments. Bank officials had been pursuing the suspects for a repayment. In July, the woman bought a gold ring from the jeweller's shop in Satara. She came back and got acquainted with the jeweller. "She told him that her builder friend had mortgaged 13kg of gold ornaments and taken a loan of Rs 2.55 crore from the bank and that their value was Rs 3 crore. She requested the jeweller to purchase it from the bank," Mokashi said. Seeing a profit of Rs 50 lakh, the jeweller contacted the bank and transferred Rs 2.55 crore through real-time gross settlement (RTGS) to the bank. On Thursday, when he got the gold ornaments, he grew suspicious and got them verified and they turned out to be fake, Mokashi said. The officer said we have arrested two persons so far and are working on some clues. "Further investigation is on," he said.